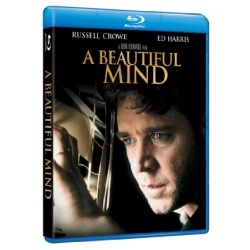 Winner of 4 Academy Awards including Best Picture, A Beautiful Mind is directed by Academy Award winner Ron Howard and produced by his long-time partner, Academy Award winner Brian Grazer. A Beautiful Mind stars Russell Crowe in an astonishing performance as brilliant mathematician John Nash, on the brink of international acclaim when he becomes entangled in a mysterious conspiracy. Now, only his devoted wife (Academy Award� winner Jennifer Connelly) can help him in this powerful story of courage, passion and triumph.